Hey guys! No vlog this week, because IMM is coming a bit late. But I did get some pretty awesome books! Then I bought Savor by Megan Duncan for a blog tour that I'm participating in. 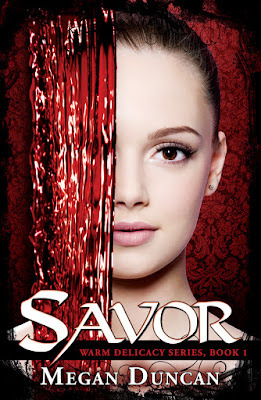 My review and giveaway for it will be up on Oct. 24th! Be sure to check it out! 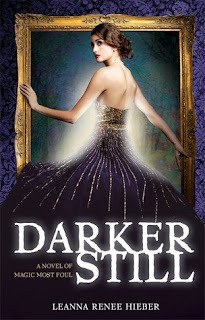 I also got Darker Still by Leanna Renee Hieber for review from Netgalley. SO EXCITED FOR THIS ONE! 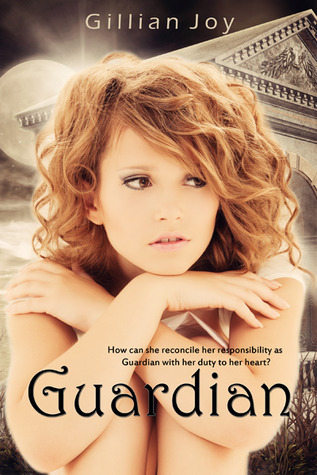 Lastly, I got Guardian by Gillian Joy for review for Gillian. Very, very excited to start this one! That's my IMM. What's in yours? SO SILVER BRIGHT- Win an ARC of So Silver Bright, the third and final book in the Theater Illuminata trilogy by Lisa Mantchev! Open US only, ends 10/13! I haven't seen "Darker Still" before. Beautiful cover. I'll have to go check that one out! Thanks. I want to read Darker Still sooo bad! Hope you enjoy and can't wait to here what you think of it! i have darker still, it looks awesome! Whoa, Darker Still looks good. I need to go check it out on Goodreads. The cover is GORGEOUS! I'd kill for her dress, my favorite color is purple. My wedding dress was purple! I got Darker Still this week too! I'm so excited to start reading it as well! Guardian sounds really good. I hope you enjoy it :) Great mailbox this week! Darker Still looks so good. I love that cover. So purdy. Can't wait to see what you think of it. I think Darker Still looks really interesting! I'm definitely looking forward to being able to read it! Wow all of these covers are great. Enjoy all your new books, in haven't read any of these. 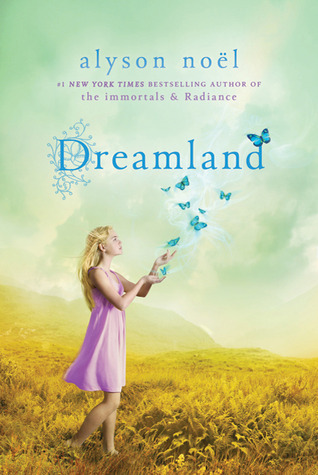 I haven't heard about any of these books except Dreamland, and even that one I haven't read. I did read the first three (I think) books in The Immortals series, so I think I could start The Riley Bloom ones. Guardian sounds really good! I love the cover as well. I've never seen it before. Great haul! Darker Still So so jealous! !